Patio season is here again, and if you’ve been thinking about adding one to your property as part of a Calgary landscaping project, the pros at Mirage Landscaping are here to help. For three generations, our family-owned business has been delivering exceptional quality and value to Calgary-area homeowners, and we’d be happy to make you our next success story. The patio’s purpose: will it serve as an entertainment area for guests, or would you prefer it to be a quiet and tranquil outdoor respite? Property characteristics: how much room do you have available in your yard? Does your yard have a sharp slope that will need to be accounted for in the design? How much green space do you want left over once the patio is built? Does your yard have other features, like gardens or swimming pools, which might influence your options? Once you’ve settled on your patio’s size and shape, you can move on to assess the other technical aspects of the preparation process. Before you go ahead and landscape the area where your new patio will sit, you need to figure out whether or not any utility lines run through your property. The old adage to “call before you dig” is critical, as you can cause major damage to municipal infrastructure by digging in the wrong place, to say nothing of the safety risks. Once you’re sure that it’s safe to excavate, you can proceed to mark off the patio area with flags or sticks. These markers create a precision outline of your patio, and once they’re in place, you can proceed to dig down to a depth of six to eight inches before levelling and compacting the exposed soil. People tend to break up into smaller groups when socializing. Is it feasible to create multiple outdoor gathering areas, or to create a patio layout that can accommodate several groups? Can you create a design that encourages guests to come out further into the yard, rather than simply hanging out near the house? This is an excellent strategy if you have other yard or garden features that you want to highlight. Don’t forget to leave room for guests to walk around. You’re likely going to fill the patio with tables and chairs, and you don’t want to create a space that’s too compact for people to move through. Consider unconventional alternatives like outdoor living rooms with fireplaces, or outdoor kitchens that bring your summertime entertaining to a whole new level. Do you have a large yard? If so, consider creating separate “patio rooms” that are connected to each other by pathways or bridges. This enhances the versatility and overall functionality of the patio space. 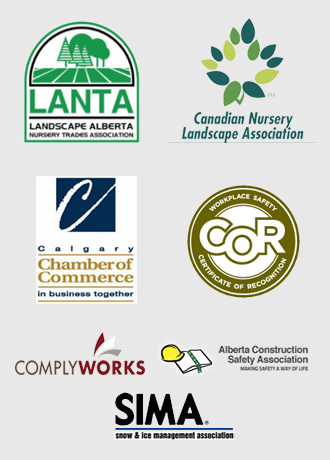 The experienced Calgary landscaping professionals at Mirage Landscaping will work closely with you to create the perfect design your unique needs and preferences. We’ll help you achieve your vision while keeping your costs as low as possible — it’s all part of our 100% customer satisfaction guarantee. Custom decks and fences: Decks are excellent alternatives to patios if you’re looking to upgrade your home’s outdoor space, and fences help you achieve higher levels of privacy and security. We are among Calgary’s top builders of custom decks and fences, and we’ll work hard to ensure you’re completely happy with the final results. Retaining walls: If your property features sharp slopes or grades, or if you’ve added landscaping elements that have changed the fundamental characteristics of your outdoor space, you may want to build a retaining wall to help safeguard your investment. As with our patio construction services, you can count on us to provide expert guidance every step of the way if you want to build a deck, fence or retaining wall. If you’re ready to take the next step in your patio project, we’re here to provide all the assistance and expertise you need. 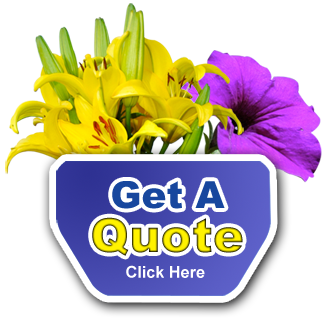 To request a quote for your patio, or to inquire about any of our other services, please visit Mirage Landscaping online today.